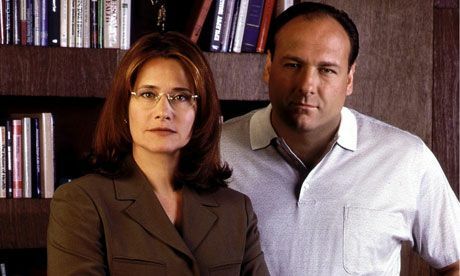 Melfi, Tony Soprano's psychiatrist, says "Depression is suppressed rage." She says it twice in an episode in the fifth season. Let's assume she's right. What is rage? Can it be thought of as over-the-top anger, or anger out of control? Though it can't be completely out of control if it can be suppressed. This seems to suggest that anger is an emotion we, most of us, have some control over. Stephen Gaskin, founder of the long-lived commune known as The Farm, famously said that anger is always an optional emotion, one we can choose to engage in or not. His advice: refuse it. Always choose not to indulge it. Many disagree with this advice, advocating we recognize and express it in order to prevent an explosive buildup into, we might presume, something like rage. Whether you agree with Gaskin's advice or the opposite, consider what anger is, and where it comes from. There may be another, better way to defuse anger than indulging it. One cause, perhaps the principle one (or the only one?) is disappointment. Okay, so what is disappointment? It is nothing more or less than defeated expectation. I expect something to come to me, something good to happen to me, something that will make me happy, and it doesn't come. Or its opposite comes. Because I expect some good event or outcome, if that event or outcome fails to appear, I feel disappointment. Disappointed, I may CHOOSE to feel a victim, to feel put upon, hurt, let down. In that case, how can I refuse anger? The point, Melfi's point when working with the combustible gangster Tony Soprano, is that the cause of unhappiness, and especially of anger, is not the event or outcome outside of ourselves. Disappointment, with its attendants unhappiness, anger, rage and, as in Tony's case, violence, or in his sister's case, depression, occur INSIDE of us. If we're unable to turn the tide of negative emotions that accompany disappointment, then we victimize ourselves. We find blame. We refuse to look within ourselves at the real causes of the pain we feel. If we are the victim, the next step must be retribution. Punishment. If we're unable to punish what we take to be the cause of our hurt (say, the dealer in a game of cards), then we may punish ourselves instead. To continue the search for First Causes: what underlies expectation, which leads to disappointment and worse? This is the question that drove Buddha. His answer: attachments. Expectation leads to suffering. Release yourself from expectations, from attachments, and suffering looses its hold. Expectations are a form of clinging, of holding on to something which does not yet exist: some future action, whether the result of our actions or those of others. We imagine some result that we imagine will please us, make us happy, fulfill us, complete us in some way. It doesn't matter how large or small the outcome we expect; we cling to it. When it happens, we swell with pride at our ability to understand and predict things. 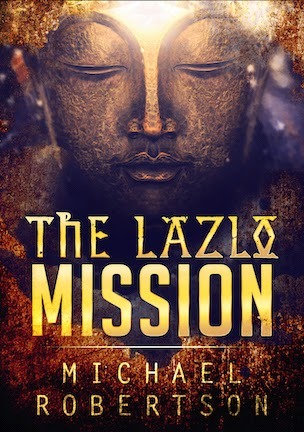 When it fails to happen, we bludgeon ourselves, briefly or lastingly, with little more than a fleeting "damn", or something much more dramatic and intense and long-lasting. All are the same: attachment to outcomes over which we hold the illusion that we control or should control. The cards are dealt; we get that third ace or a lowly deuce. Regardless, we expect great things, and even in situations that we tell ourselves are completely random and beyond our control, more often than not we secretly believe we exert some kind of influence on the workings of the universe, that our minds are somehow able to yank the strings of cause and effect to give us what we think we want. Non-attachment. The real solution to disappointment, to anger, to rage, to violent acting out, to depression, is never allowing ourselves to be emotionally attached to the outcome of actions, our own or that of others. Or, if attached, to release ourselves from them. To let go. To stop clinging. "If you love somebody, let them go," is more than a song lyric. It's a prescription for emotional healing. This is a kind of mental yoga I'm talking about. Buddhism isn't required; what is required is a clear mind and common sense and a bit of self-discipline. You, and only you, can clear yourself from the life-long habit of expectations. If only this was taught to all children from the very beginning. This would be quite a different world we live in.